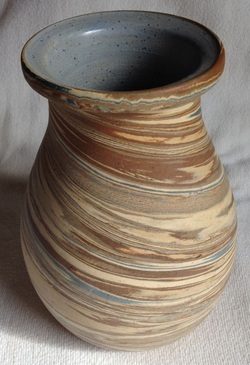 A swirl pottery with a tie to Niloak Pottery is Badlands Pottery. 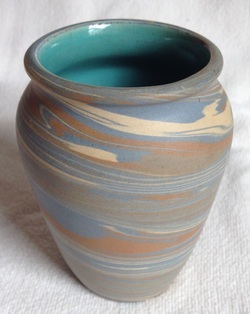 Niloak Pottery employee Howard S. Lewis moved to North Dakota after developing Hywood by Niloak. 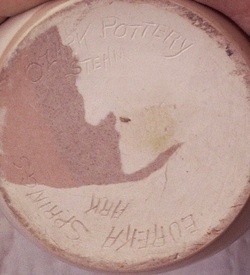 Produced between 1934 and 1937, Lewis, a ceramic engineering graduate from Iowa State College, made swirl ware (called Badlands Pottery) for the Dickota Pottery Company (Dickinson Clay Products Company of Dickinson). Lewis's pieces tend to have a deeper and more brilliant color than typical Missionware examples. It is sometimes found with his initials (HL connected together). 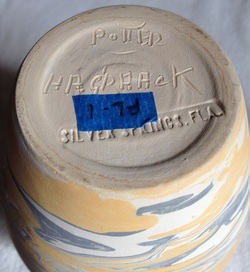 As for Dickota's castware, some pieces are similar to Niloak shapes, and Lewis even introduced a couple of his glazes at Dickota that he created while at Niloak Pottery. 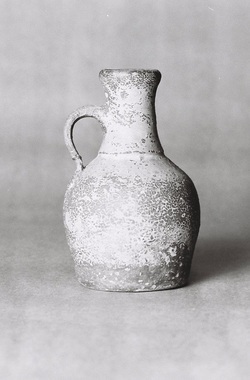 From the early 1920s, Niloak pottery was selling in the resort town of Colorado Springs and elsewhere around southeast Colorado. 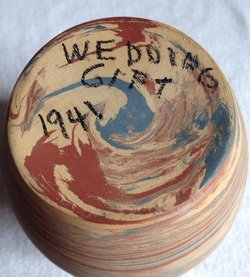 Tom Turnquist, author of Denver's White Pottery, stated that swirl production began in Denver during the early 1920s. 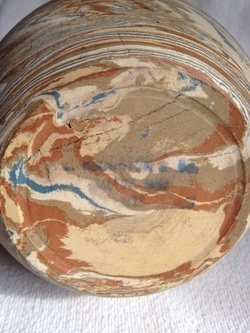 Therefore, it is probable that Denver's White Pottery manufactured its swirl as a result of the popularity of swirl pottery and the recognition that it was marketable. 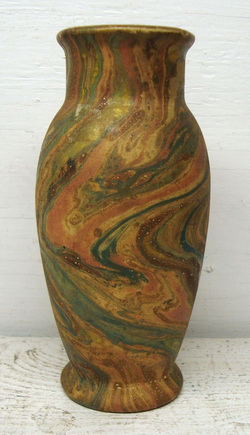 This swirl pottery is as good technically and aesthetically as Niloak but the swirls are typically narrower. 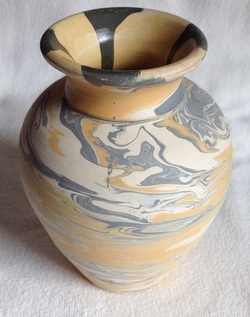 In his Art Pottery of the United States, Paul Evans mentions the Gay Head Pottery of Martha's Vineyard, Massachusetts as a pre-Niloak producer of sun-dried swirl pottery. Display of Gay Head Pottery at the Martha's Vineyard Museum in Edgartown, Mass. 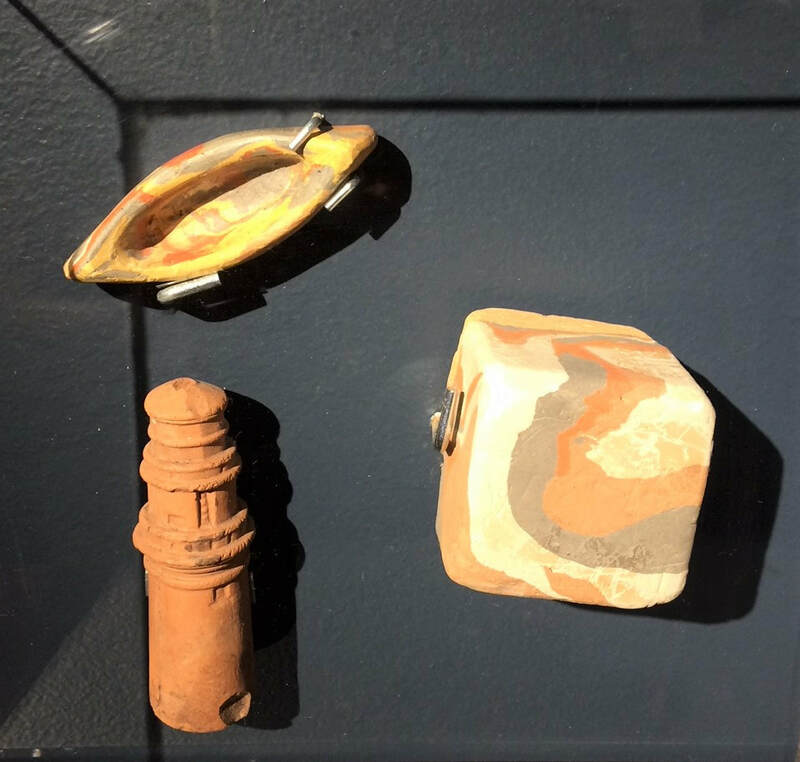 Right: close-up of the three pieces on display. Photos courtesy of Jill Curran. 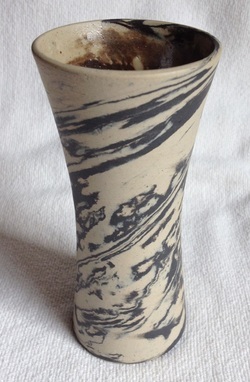 Another swirl ware was produced by the Houghton and Dalton Pottery of Ohio. This pottery was called "Indian." 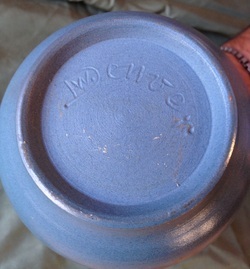 Examples often have an interior blue glaze, and some pieces even have an exterior glossy glaze. 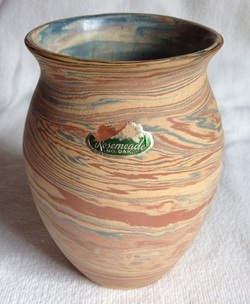 Although little is known abut any direct connections between the two companies, Stoin M. Stoin, developer of Niloak's Hywood Art Pottery, did work for this Ohio company. 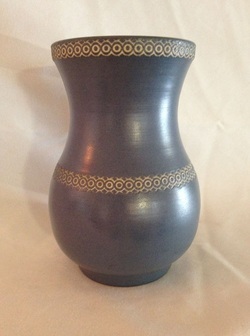 In addition to its swirl production, the pottery produced several shapes similar to Weller's Nile and Niloak's Hywood Art Pottery lines. 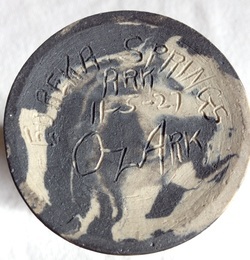 Charlie Stehm's Ozark Pottery of Eureka Springs was at least one Arkansas challenger to Niloak (in addition to Ozark Skag Pottery). Although it was introduced during the 1925 Christmas season, the company was founded in 1926. 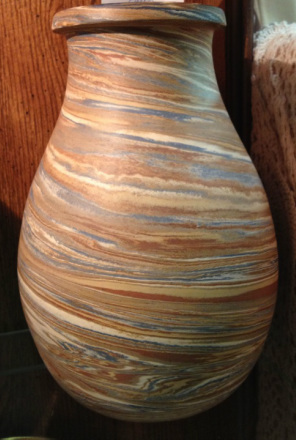 A talented Ozark craftsman of German descent, Stehm explained, "I probably never would have become a potter, however, if I could have gotten the agency for Niloak in my Eureka Springs shop. 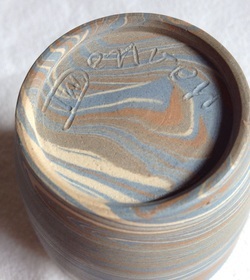 I found I needed pottery, so I went out, found my clays, and became a potter." Stehm's swirl production began after Hyten had filed for a U.S. patent for his Missionware process, and likely ceased just before he received it. The significant difference between Ozark and Niloak potteries is that the clay swirls on Ozark pieces rotate counterclockwise. 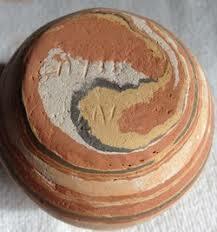 They are nearly always marked, incised in the clay, and sometimes dated 1926 or 1927. 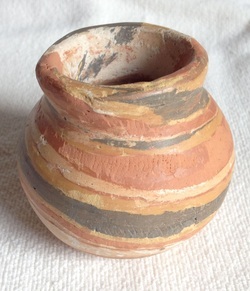 Other than the fact that both produced swirl pottery, there is no known connection between Stehm and Niloak.